We're all concerned about security, and frequent high-profile breaches aren't improving our outlook. 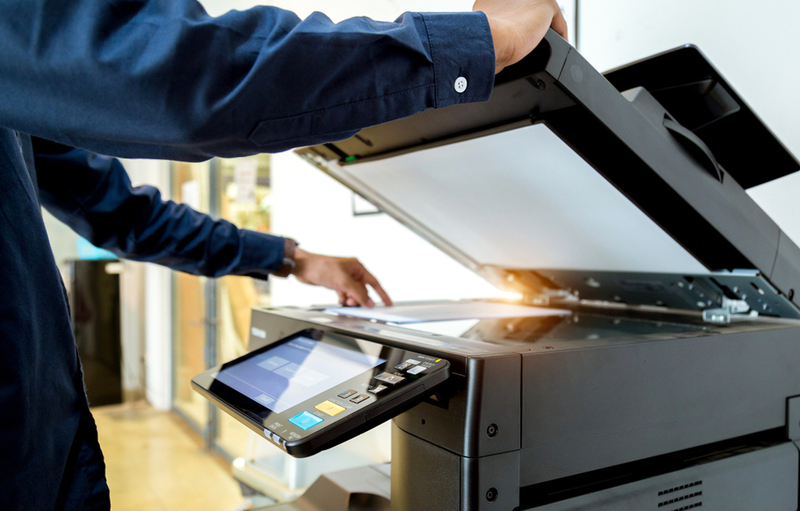 Your multifunction printer can be an invaluable tool in your security strategy, giving you more options for protecting your confidential information. Data encryption is a multifunction printer feature that protects stored and in-transit information. Hackers are on the lookout for data as it flows through networks, and unprotected networked printers are prime targets. Data encryption solutions make information unreadable and useless to hacking attempts. Data overwrite protects information stored on multifunction printer hard drives. Just like your computer and mobile device, your office multifunction printer stores information on its internal hard drive. Overwrite solutions make stored data unreadable to hackers. Confidential printing solutions help businesses address the issue of uncollected documents. These features require users to input passwords or use ID cards to authenticate at the device before print jobs release. Your multifunction printer includes a scanning feature, making it the first step for process automation and electronic document management. Users can complete tasks from start to finish directly from touchscreen controls. Routing documents to folders, email, and cloud storage solutions is simple, and OCR technology instantly converts a variety of documents to editable, searchable PDF formats. Outsourcing your printing requirements isn't always convenient, but with a multifunction printer, it's often unnecessary. Polished finishing features and exceptional printing mean you can produce professional-quality materials in-house, on-demand, and at a price that fits your budget. No matter what type of organization you operate, a multifunction printer can serve your needs with efficiency. Contact MMIT Business Solutions for more information today.